January 2013 – Kitmeout Designer Clothes – Fashion Blog & Fashion Forum. Here Becks is sporting his bodywear line for H&M. The campaign is directed by Mr Guy Madonna Ritchie. The film debuts February 6, 2013. Dolce & Gabbana s?s 2013 inspired by Sicilian street festivals and Luchino Visconit’s 1948 film La Terra Trema. 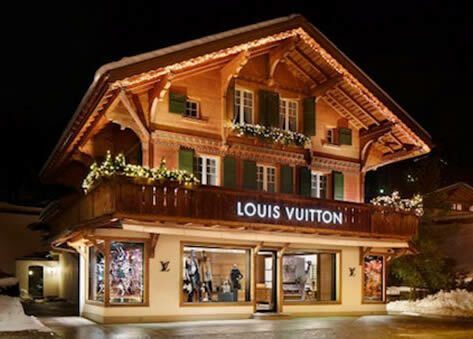 Louis Vuitton have opened an all new “Winter Resort” Store in Promenade, Gstaad. The popular winter destination seems an appropriate choice given the fact that 2012 marked the historic site’s 700th anniversary of providing ample and valuable real estate for those looking for a little bit of adventure. The store is a subtle mixture of the architectural traditions and principals of Louis Vuitton and the personality of the region – thus evoking refinement, luxury, and a poetic journey that takes visitors to the heart of the Alpine valley.